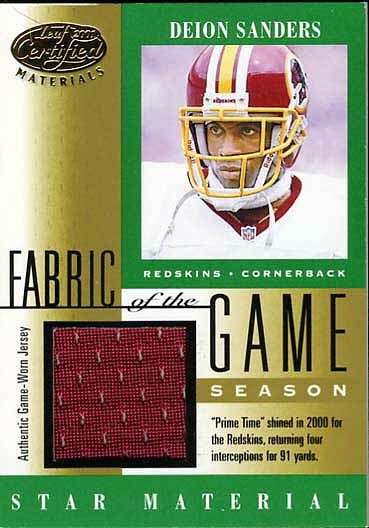 As you can tell, I have focused my collection on vintage items. 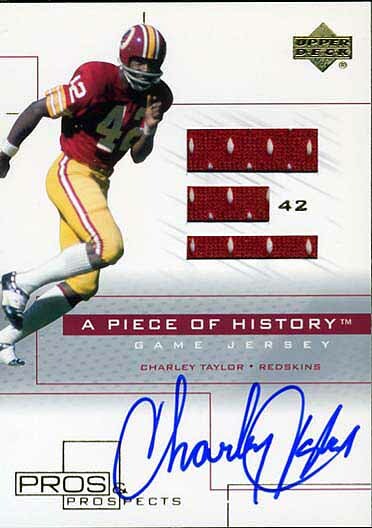 However, that doesn’t mean there is not some really cool new stuff being issued. 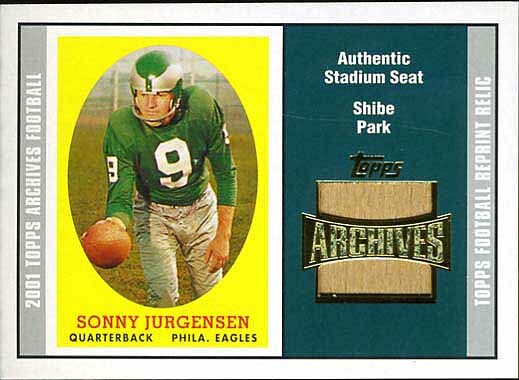 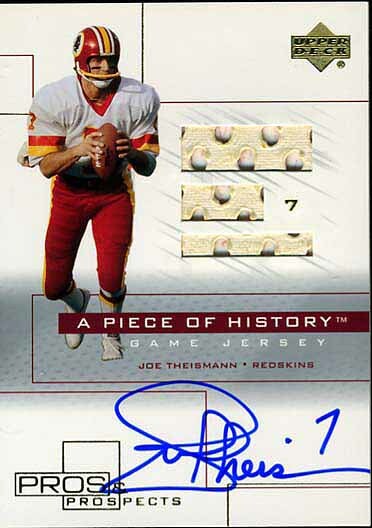 One area I try to follow (though with so many cards being released it is hard) is the game-used jersey cards. 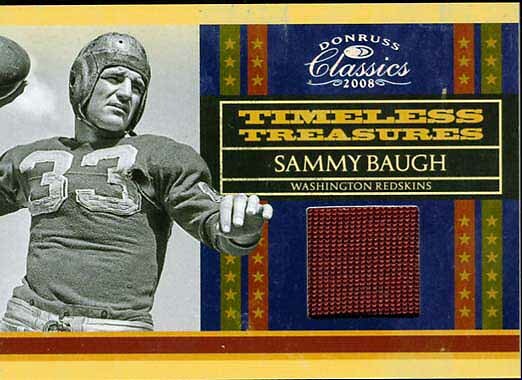 They have become pretty common place so it is possible to pick up some bargains. 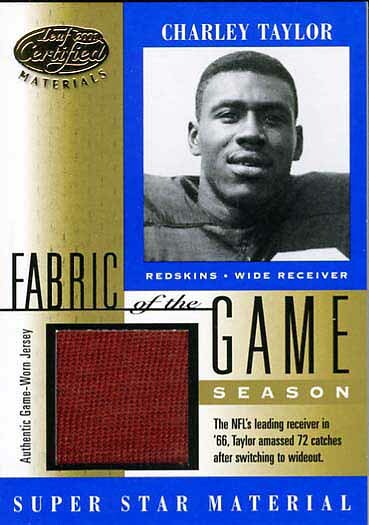 Obviously, I have been focusing on Redskins – particularly those who played in the 60’s and the 70’s. 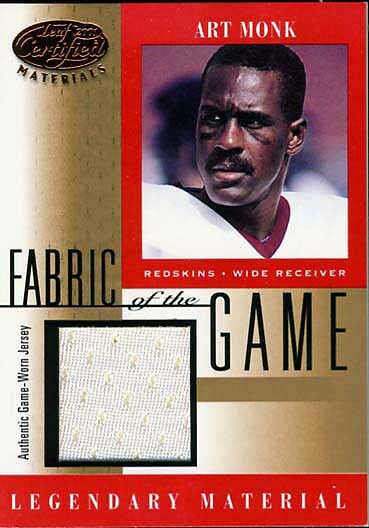 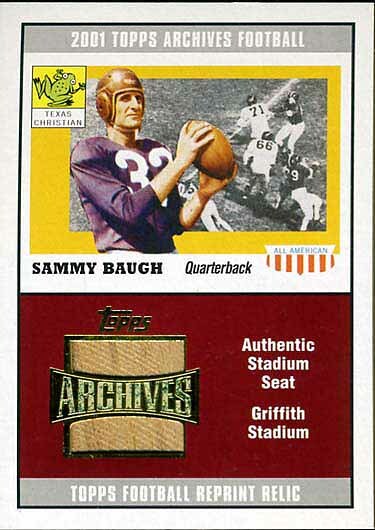 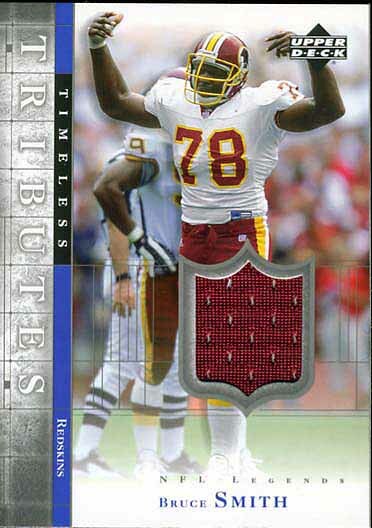 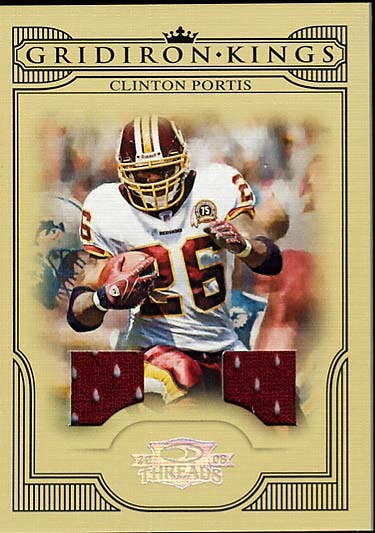 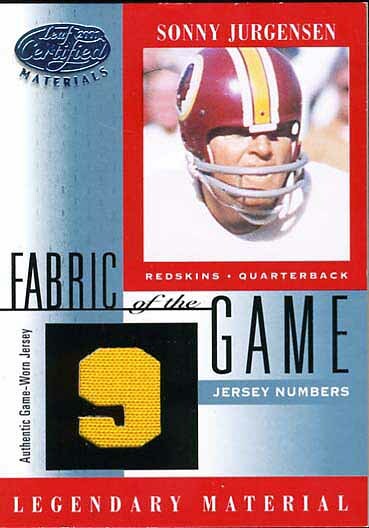 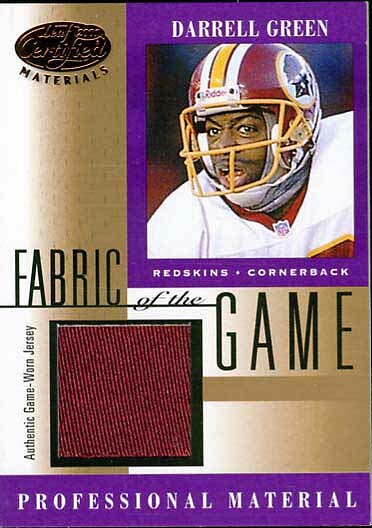 Below are what I think are some of the more interesting Redskins jersey cards that I have (and I do not have a lot). 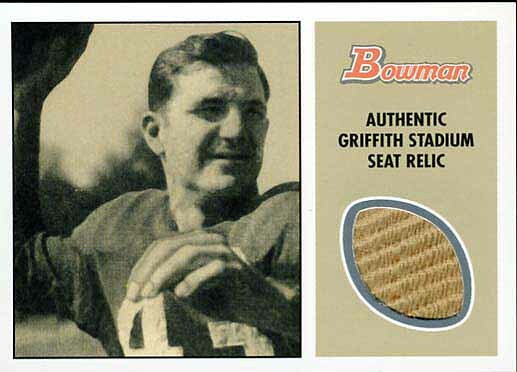 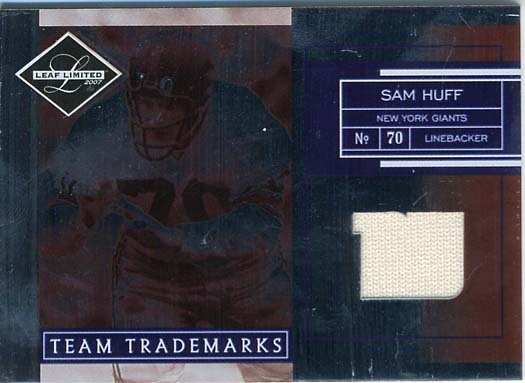 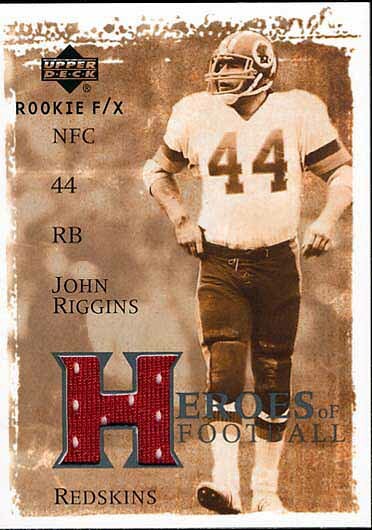 If anyone can help me get a better scan of the Huff Jersey card, I would appreciate it. 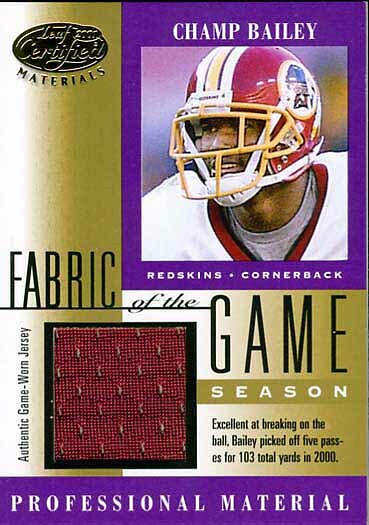 I have not figured out how to get good scans of the highly reflective cards.